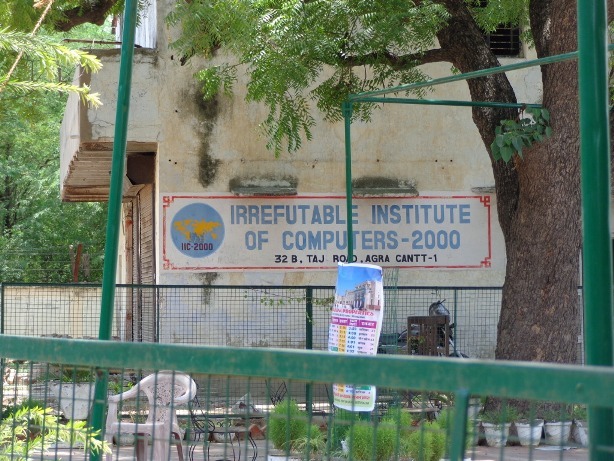 You can say many things about this educational facility in Agra, but you cannot deny its existence. It’s irrefutable. This one puzzles, me, actually. Lots of times you can guess what the author was going for, but I’m at a loss here. Anybody?